← Didn’t McDonald’s Start This Way? ‘Life’s Rich Pageant’ Is Here! The wait is over. 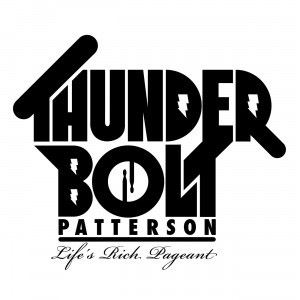 “Life’s Rich Pageant,” JP “Thunderbolt” Patterson’s new smash summer single, is finally out. Back in the day, I would have been pacing the sidewalk in front of my local record store, with a fist full of ones, to grab a new release. Today, through the magic of the Interwebs, it’s available right here from Drug Front Records, for my favorite price — FREE. Another winner from Mr. Bolt! “LRP” is getting airplay here in Madison, on WORT. Good job, JP…time for album #3 yet?